Wetekia kia rere is an expression in the Māori language that refers to unleashing potential. 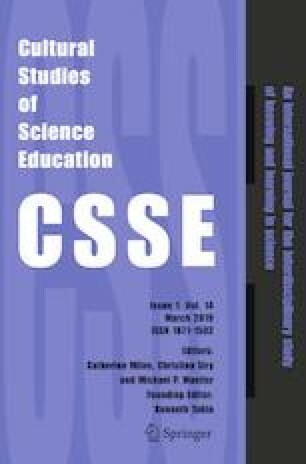 This paper discusses questions of power relevant to challenges recently identified by government officials regarding learners’ experiences of science education in New Zealand schools. We begin by summarising the Treaty relationship (Treaty of Waitangi, considered to be the country’s founding document first signed in 1840) that informs the framing of New Zealand’s science curriculum guidelines. Next we outline some official New Zealand education strategies along with several policy guidelines relevant to the aspirations of Māori communities for a transformative science curriculum. This is followed by a discussion of how the historical processes of ecological imperialism, environmental racism and institutional racism have combined to attenuate Māori experiences of science education. A review of international literature is then presented to support calls for the development of place-conscious approaches to science education which validate Māori knowledge and learning contexts and Māori initiatives to seek eco-justice. Finally, a case study of a Pā Wānanga (Māori learning community) is provided to suggest potential solutions to some of the problems discussed previously. Lead Editors: A. J. Rodriguez and B. Upadhyay. Beattie, H. (1918). Traditions and legends. Collected from the natives of Murihiku. (Southland, New Zealand). The Journal of the Polynesian Society, 27(107), 137–161. Retrieved from http://www.jps.auckland.ac.nz/document//Volume_27_1918/Volume_27%2C_No._107/Traditions_and_legends._Collected_from_the_natives_of_Murihiku._%28Southland%2C_New_Zealand%29%2C_by_H._Beattie%2C_p_137-161/p1. Harasymchuk, B. J. (2015). Place based education and critical pedagogies of place: Teachers challenging the neo-colonizing processes of the New Zealand and Canadian schooling systems. A thesis submitted in fulfilment of the requirements for the degree of doctor of philosophy in Education. University of Canterbury, New Zealand. Retrieved from http://ir.canterbury.ac.nz/handle/10092/10662. Hayward, J. (2009). The Principles of the Treaty of Waitangi (Appendix). Retrieved from http://www.waitangi-tribunal.govt.nz/doclibrary/public/Appendix(99).pdf. La Paperson (aka K. Wayne Yang). (2014). A ghetto land pedagogy: An antidote for settler environmentalism. Environmental Education Research. https://doi.org/10.1080/13504622.2013.865115. Manning, R. F. (2008). Place, power and pedagogy: A critical analysis of the status of Te Ātiawa histories of place in Port Nicholson block secondary schools and the possible application of place-based education models. Doctoral Thesis. Victoria University of Wellington, New Zealand. Retrieved from http://researcharchive.vuw.ac.nz/handle/10063/1051. McKinley, E. (2008). Māori in science and mathematics education. In J. S. Te Rito, & S. M. Healy (Eds. ), Te Ara Pūtaiao: Māori insights in science (pp. 27–36). Auckland, New Zealand: Ngā Pae o te Māramatanga. Retrieved from http://www.maramatanga.ac.nz/sites/default/files/TO%20Te%20Ara%20 P%C5%ABtaiao%20Maori%20scientists.pdf. Te Arawa Lakes Trust. (2015). Te Tūāpapa o ngā wai o Te Arawa: Te Arawa Cultural Values Framework. Retrieved from http://www.tearawa.iwi.nz/files/te_arawa_iwi/keydocuments/Te%20Tuapapa%20o%20nga%20wai%20o%20Te%20Arawa.pdf. Waitangi Tribunal. (2014). Waitangi Tribunal; He Whakaputanga me te Tiriti/The Declaration and the Treaty. Downloaded from https://forms.justice.govt.nz/search/Documents/WT/wt_DOC_85648980/Te%20RakiW_1.pdf.